February 28, 2012: Four new fanvids (Galileo, The Shadow, MythBusters, and The Fall). Two new New Doctor Who stories, "we've got so far to go" and "Planet of the Hats." January 11, 2012: Added a new Galileo story, "Conversation Overheard in a Lab". Also added two new Probe stories: "Less by Assimilation than by Friction" and "If the Bible Tells You So". There's a new fanvid, too, for Galileo. Find it on my Multimedia page..
October 21, 2011: Added a new Galileo story, "a secret told". September 23, 2011: Added two new fanvids, one for Trick, in the style of a show opening, and another for New Doctor Who. Find them on my Multimedia page. Two new stories, as well, one for Supernatural, "Flip Side" and one for Galileo, "The Only War". August 16, 2011: Added one new fanvid, for Galileo, "Newton's Law of Universal Gravitation." Find it on my Multimedia page. July 07, 2011: Added one new story for Doctor Who (2005), "Birthday". June 15, 2011: Added two new stories (written for Remix Redux 9 and Remix Madness 2011), one for Supernatural, "fire in his hands (bones of you blend)", and one for Ouran High School Host Club "Natural Disasters (Surviving an Extrovert Remix) ". I also added two new fanvids, one for New Doctor Who, "Believe" and one for Galileo, "雨夜の星 (Something Unusual)." Find them on my Multimedia page. April 1, 2011: Added two new stories, one for Supernatural, "Little Boy Blue", and one for Sabrina (1995) "La Vie en Rose". March 16, 2011: Added two new stories, both for Supernatural, "your angels speak with jilted tongues", and "Where My Steps Take Me, There You Are". February 16, 2011: Added several stories and fanvids. I've also streamlined the site, getting rid of the Miscellaneous and Links pages, collapsing the Recs pages into one, and removing the count on stories. Updating by hand is a chore I don't like doing. Hopefully updates to the Multimedia and Fanfiction pages will happen when I update on Dreamwidth from now on, with these changes. It's possible that if I start reccing stories again it will only be on Dreamwidth. June 2, 2009: Updated look of website and added over a dozen stories. November 5, 2008: Updated a number of pages, including the stories and multimedia pages. August 1, 2008: Everything is up-to-date, notably in Stories and Multimedia. March 1, 2008: Even though I'd uploaded the file on February 21, I realized that I'd neglected to add the link to one story today (my Question/Huntress story). That's fixed, now. February 21, 2008: Fanfiction index is now up to date with four Ugly Betty stories, and one Supernatural story. I also added word counts for all stories. Recs will be forth-coming. October 12, 2007: For those of you wondering where September's recs are, they're in my to-be-done file. My apologies. I plead real life. I might just lump December's in with them and post them then. June 15, 2007: Updated recs (all Ugly Betty this time) and the Ugly Betty section of my stories page, with "Another Blink of an Eye" and "Love Looks Not." April 10-11, 2007: Three new stories, Enterprise fandom, "as the hours run away", and Ugly Betty fandom, "First Day Back" (Daniel/Betty) and "Menudo, With Love" (Henry/Betty). Two new music videos, both for Ugly Betty fandom. New icons, also Ugly Betty, including my first ever song set, inspired by one of the new vids. 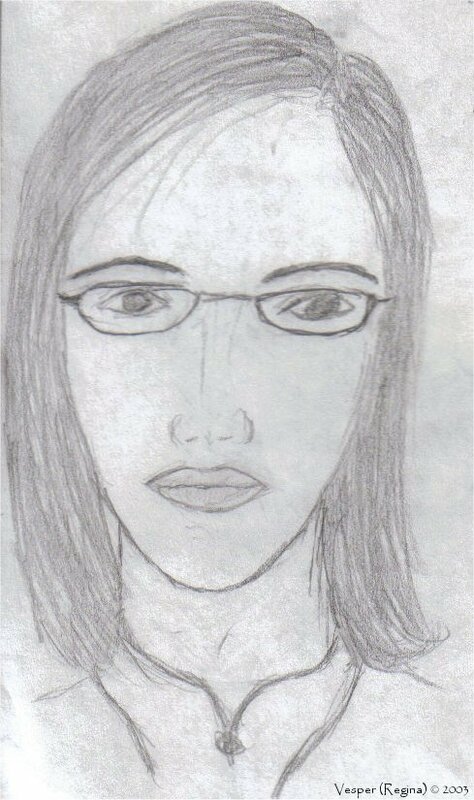 March 1, 2007: Fanfic recommendations for March. Ugly Betty and Jake 2.0 fandoms. February 12, 2007: Four stories, two seen before on Fanfiction.Net, just never posted here for Enterprise, and two new for Ugly Betty. New music video focusing on Henry from Ugly Betty. A Henry/Betty icon (fandom Ugly Betty) in Art. January 10, 2007: New fanfic recommendations, mostly for Prison Break. September 22, 2006: Two new icons, crossing over The Pretender with Prison Break and one new music video, same subject. I was inspired by a comment Medie made at her Livejournal. September 19, 2006: New fanfic recommendations, I noticed a high traffic search for Pride and Prejudice stories and having recently read quite a few, I assembled them for this posting. There are a few other scattered fandoms throughout. June 28, 2006: New fanfic recommendations. Some miscellaneous fandoms, some for "Numb3rs" and "Prison Break." March 24, 2006: New LJ icons for the movie A Series of Unfortunate Events. Go take a look. March 23, 2006: New fanfic recommendations. I've also done some re-structuring due to the recommendations page being a bit large. I've removed some categories and added a few others. I've also created a separate page for the 2004-2005 archive of recommended stories. (That means the current Recs page only has this month's recommendations.) I'm thinking that every two years I'll make a separate page for those years. February 20, 2006: New Jimmy/Yves story, "Fragmented." February 2, 2006: New Livejournal icons in Art, two for the Doctor Who 2005 fandom and four general icons for the State of Idaho. December 31, 2005: A new music video, fandom "Enterprise," 'ship Malcolm and Hoshi. December 9, 2005: I have posted December's fanfic recommendations and more than made up for the lack last time--there are "Prison Break," "Firefly," and some odd "Stargate" and "Enterprise" recs. I've also posted my latest story, "Sono" and the dust cover for it. September 20, 2005: September's recs have been posted. I wish there were more than just the seven, but recent circumstances have prevented me being able to read much fanfiction. July 22 24, 2005: June's recs have been posted. Five new music videos in four different fandoms. Most older videos have been removed to make space for the newer. They can be requested by e-mail for download. A new story set in the Stargate fandom. Three new icons--X-Files and Lone Gunmen related. May 24, 2005: I would be announcing new recommendations now, if I hadn't succumbed to the lure of other *cough*library*cough* fiction. June's recs will be late. April 2, 2005: Due to certain legal issues now afloat across fandoms, the ratings system for my stories is changing. Where the rating tag was, you'll now find a 'Warnings' tag. It will contain pertinent information concerning content. All my stories have always been targeted for all audiences, and as such contain no content that would require an age limit above seventeen. However, if a story is marked by 'adult themes' an age limit of above thirteen is recommended. March 7, 2005: New fanfic recommendations, mostly "Enterprise" fandom. January 24, 2004: New story, "Dissolution," set in the Spider-Man movie-verse. December 18, 2004: Like the new look? I wanted something purplish and wintry for version eight. The navigation was starting to bother me again, that's why you'll find the sitemap to the left. December recommendations are up, mostly for the "Firefly," "Enterprise," and "Stargate" fandoms. November 4, 2004:The Season 3 Linguistics Database Awards recognized two of my stories as finalists. They were "In the Waiting" as Best Hoshi and "Sunrise, Sunset" as Best Challenge. I added the award buttons to my Fanfiction page, after the story summaries. What's new, besides that, is a wallpaper based on the Stargate: SG-1 episode "2010". It's shippy for Daniel and Janet. Find it on my Art page. I also re-tooled my two animated icons on that page, to fall below the 40K limit Livejournal uses. 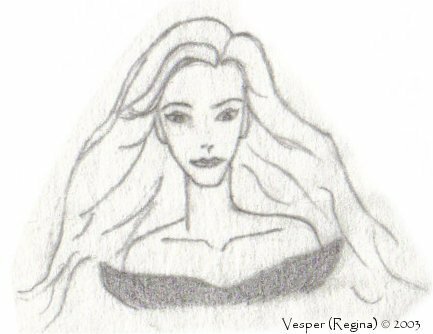 October 16, 2004: Have updated Art with an icon for The Scarlet Pimpernel (book). There are also new recs, fifteen this time because, well, it's been quite a while since I updated. There are a few classics from the Enterprise fandom, a few Daniel/Janet shippy fics from the Stargate SG-1 fandom, and others. One new Enterprise video in Multimedia, my first and hopefully not my last. 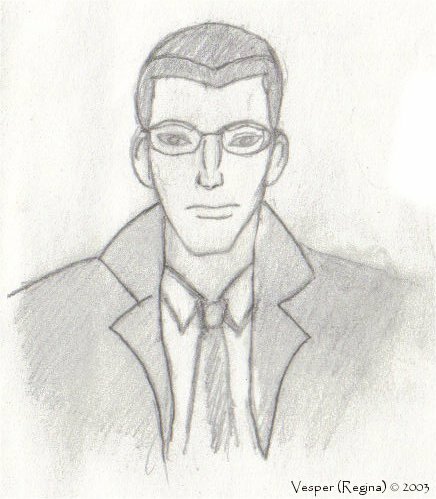 June 6, 2004: Have updated Links with new "Enterprise" links, have updated Art with a sketch, some icons (one LOTR, one Lone Gunmen, and one BTVS, with words by e.e. cummings), and a "lost" manipulation for "The Secret Adventures of Jules Verne," once done under another alias. There are also new recs. Three new videos in Multimedia (fandom "The Big O"). April 5, 2004: Did a little backstage work, so I've upped the point to version 7.1. "Probe" links can now be found in the subdomain. April 3, 2004: Have created that subdomain for "Probe". Take a look at Creatively Maladjusted or above in the menu. March 04, 2004:New stories in two separate fandoms: "Candid" (Enterprise), "Name" (The Lone Gunmen). New fic recommendations, this time primarily from "Big O" and the movie Sense and Sensibility.Enjoy. I've been working on a new subdivision to this website, focused on "Probe". I now have enough multimedia to make it a full-fledged fansite, if a little slender compared to others. It will offer clips and some high-quality screen-caps, besides just the transcriptions that are already there. Look for that sometime next month. January 28, 2004:New stories in three separate fandoms: "For Less" (West Wing), "Forget Not" (Big-O), "Mustn't Touch" (Firefly). New music video based on the Spider-Man movie. Enjoy. December 21, 2003:I've started a journal at Livejournal. Link above. Happy Holidays, everyone! November 22, 2003:New Enterprise story, a drabble, "The Solitary," focusing on the brother/sister relationship of Malcolm and Madeline Reed. A new music video, set in the "Buffy: The Vampire Slayer" fandom. New Reed/Sato wallpaper, a set actually, entitled In This Proud Land: Never Easy and In This Proud Land: Somewhere, both in 800x600 and 1024x764. Methinks I need to learn tables. And, last, but not least--new fic recommendations. There's a few set in "Enterprise" fandom, a few set in "Big O" fandom, one based on the movie Hercules made by Disney, about Persephone and Hades, and some others. Check them out! October 4, 2003--New Enterprise story, a drabble, "In One Place." A new music video, based on the series "Probe". September 14, 2003--New Jimmy/Yves story, "Day and Night." Added some new links and updated some broken links. Those that I couldn't locate have a 'closed' or 'link broken' note in the description. September 6, 2003--Reorganized the Recs page into easy to find sections. In alphabetical order: Enterprise, Firefly, Labyrinth, The Lone Gunmen, Other, The Secret Adventures of Jules Verne, The X-Files, and X-Men: The Movie. September 3, 2003--So here we are. What's changed? Nothing much. A new address, a slightly different look and a new menu category. I changed the font on the graphic on my index page to Carolingia, and on the second index page to Vivaldi. There's an all-purpose banner for my page now, and the fonts used in that are Carolingia and BankGothic Md BT. On the Multimedia page are two Lone Gunmen music videos. Eventually, there will be more than just that, but that's all the updating that's current. September 2, 2003--I will be getting my own domain within the next few days! August 27, 2003-- Added a new story "The Smell of Rain," a movie-fic based on the 1995 version of Sabrina (with Harrison Ford and Julia Ormond), and a cover for Mnemosyne's "Holy Angels Guard Thy Rest" (an Enterprise fic found at Linguistics Database) in the Art section. 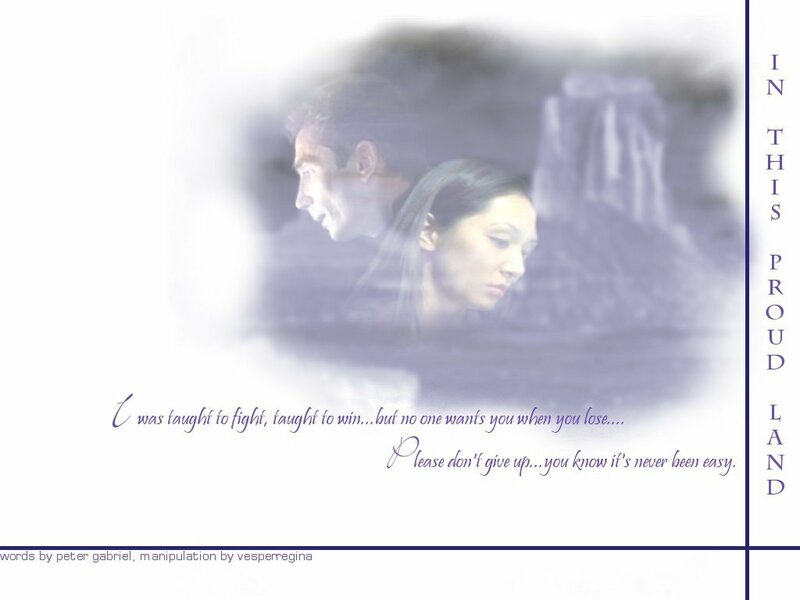 The quote used is from the song "My Last Breath" by Evanescence and reads: Safe inside myself are all my thoughts of you. 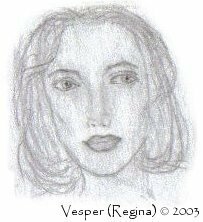 August 14, 2003 Two new Enterprise stories: "Circle" and "In the Waiting"
Also, in the Art section, I've added five pencil sketches I did a while ago. One is a sketch of an unnamed woman (she looks a little like Sydney from the "Alias" television show) and two sketches from the "Gargoyles" cartoon of Janine 'Fox' Xanatos and Owen Burnett with some funky dark hair. It's so hard to do blond with pencil. 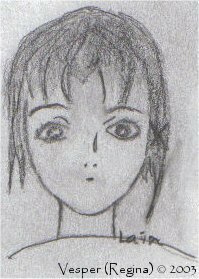 There's one of Dana Scully from an episode of "The X-Files" that I don't remember the title of right now and the most recent one, that of Lain from "Serial Experiments: Lain," that seriously disturbing yet enthralling anime. August 9, 2003 I have removed the menu categories, "Stories," "Poems," and "Papers." I have moved past having any of my personal detritus online. The only change this makes is that Vespers is now strictly a fansite. Comments and pleas for backups for anything that long-time visitors liked from these categories can be addressed to: Vesper. August 2, 2003--Two new Enterprise stories, "Revisiting Risa" and "Sunrise, Sunset." For those who have already read the first and were left unsatisfied by the ending, there is a resolution, sort of. I'd like that to stay on this website, though. ;) Also new in the Art section: a cover for my story, "Nocturnus" and a new Jimmy/Yves wallpaper in both 800x600 and 1024x768. July 26, 2003--Joined a clique 'Ship Driven. The Mulder and Scully plaque was made by Isabelle. I made the Jimmy/Yves and Reed/Sato ones using her template. July 18, 2003--Made a cover for "A Time To...". June 16, 2003--New Enterprise story: "Muse" (or it was new about a month ago, oh, well.) A guestbook. A new side panel. New recs for June. I'm tired. It's 10:41 PM, at the time of writing this and I still can't go to bed. Not until what I've just told you is new is up. Leave me a note in the guestbook, lovely people, I know you visit. A number isn't a person, though, so make your number more than just that, if you please. May 7, 2003--Okay, so I'm really lazy. I just haven't made time to read as much fanfic as I'd like, so I'll put recs up once a month. I'll be on vacation from the 17th to the 20th. There will be no updates until then. Hasta luego. May 1, 2003--There are some recs from last week, and I'll try to put some more up this weekend. April 16, 2003--Recs for this week. Also, courtesy of my brand new video capture card, there's a clip of the opening titles for "Probe" in the Transcripts section. April 9, 2003--The Recs link is up now. Lots of oldies but goodies for The X-Files. Nothing for Other fanfics right now, but come back next week and I promise there will be something. March 29, 2003--Major change. You are now looking at version 6.0, simply because I hated the complicated nature of version 5.0. Hope this is more easy to navigate. Most of the links are still the same, except for the fact that I've completely collapsed the previous sections into the menu you see on top and bottom. 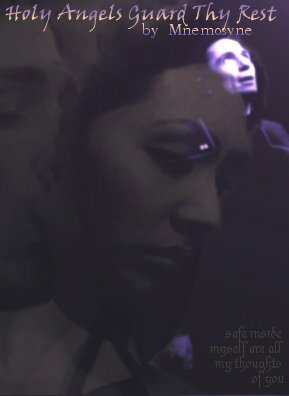 New story, "Catching Rainbows," the sequel to "Chasing Shadows," the first Jimmy/Yves fic I wrote in that fic universe. The page includes a link to passages I deleted. Next time I get the itch to change this site, it will probably only be to change the background pic. March 6, 2003: Added a new story,"Johnny Bravo and the Nagel Woman," a Jimmy Bond/Yves Harlow fic. January 18, 2003: Story "Permanence" in the Enterprise section. December 24, 2002: Some wallpaper focusing on Jimmy and Yves. Also, a link to save a recently cancelled show "Firefly". December 17, 2002: Added a link to the Probe section. Check it out, it's great. December 16, 2002: Updated Poems and Papers, to match the rest of the site colors and get rid of the superfluous Microsoft Word code. 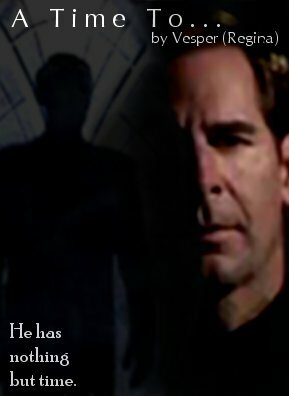 December 11, 2002: Added "Chasing Shadows," a Lone Gunmen Jimmy/Yves shipper fic.